No, I’m not talking about yellowed boy scouts, I’m talking Grainline Scout Tee and colour and emotion here! I made the yellow linen Scout woven tee to go with some outfits I’m putting together for a trip and thought it would be perfect with my long Gabriola skirt. The problem is that last night I thought it looked, well, a bit plain, so had the brilliant idea to put the entredeux onto a pocket and retrofit it. The pocket went well, I put the entredeux along the top, stitched it all on to the shirt, and then had the further (fatal) brilliant idea of a bit of entredeux all the way round. Can I say that there is no going back from a decision such as this? Entredeux cannot be unpicked and any little flaw is there for good. Got the picture? Enough said! I wore it today with my Tammer shrug from Dairing. It kept me warm all day, but it was fantastic at lunchtime when I went to a Didgeridoo meditation session – unbelievable – my body was so heavy I couldn’t lift any of it. 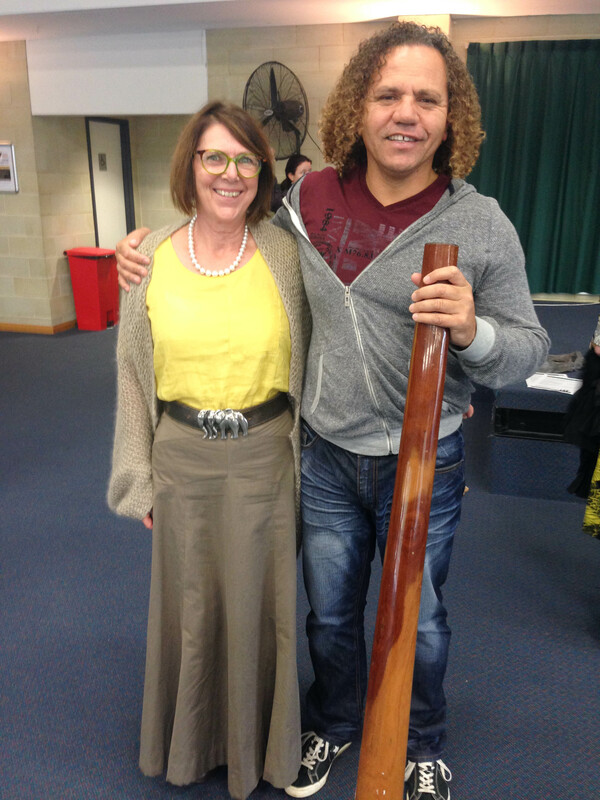 Here I am in the whole outfit with the Noongar Didgeridoo player. Sadly we can’t see the end of this amazing instrument, but any of you who have heard one of these played might wonder how it helps meditation. Well, the sound vibrates through the body, and air gets blown through the Didgeridoo onto the body. The whole thing was sooo relaxing, and I probably look mildly spaced out here. I consider myself so lucky that my organisation puts on such activities for its employees. 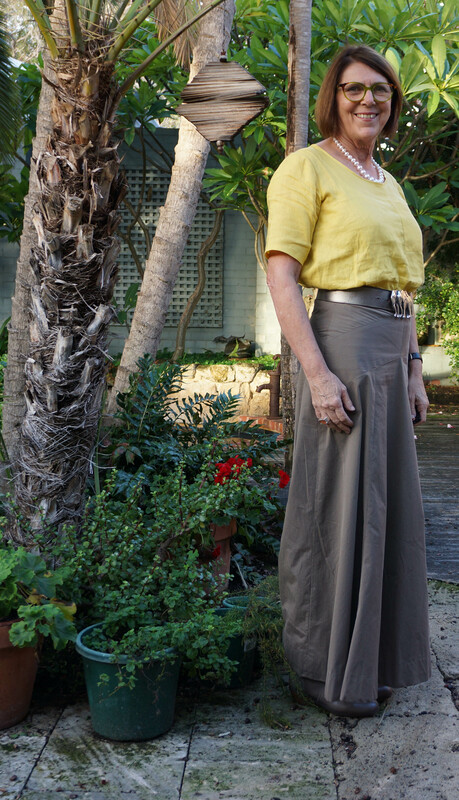 Top is a Grainline Scout woven tee from yellow linen bought at Potter’s Textiles, Perth. 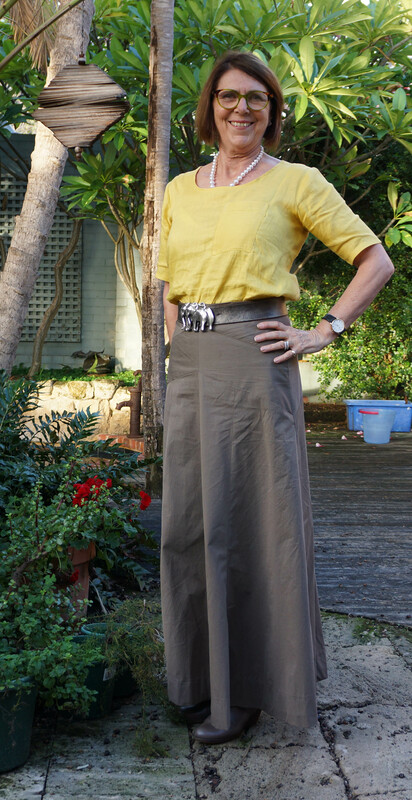 Skirt is Sewaholic’s Gabriola from fabric bought at the Fabric Store, Auckland. Belt is one I bought back in the ’80s. The elephant buckle is interchangeable. Hi Sue what a fabulous T absolutely love it. Love the colour on you. 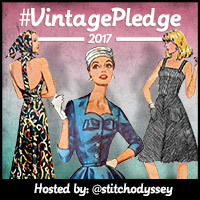 Yes, I thought you would want to know what was de rigueur for such an event! As you know Sue I really loved your whole outfit it looked amazing. As for the meditation it was trully an amazing experience – pity we all had to go back to work but I would recommend everyone try it!